Jewish Free PressMay 2 2002, pp. 8, 10. Betz, O. "The Death of Choni-Onias in the Light of the Temple Scroll from Qumran." In Jerusalem in the Second Temple Period: Abraham Schalit Memorial Volume, ed. A. Oppenheimer, U. Rappaport and M. Stern, 84-97. Jerusalem: Yad Izhak Ben-Zvi and Ministry of Defence, 1980. Ginzberg, Louis. A Commentary on the Palestinian Talmud. 4 vols. 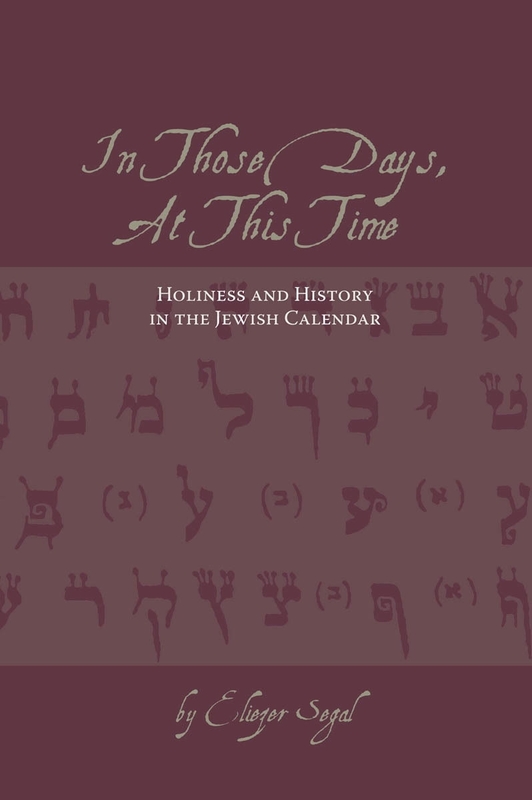 Texts and Studies of the Jewish Theological Seminary of America. New York: Ktav, 1971. In the days when the Jerusalem Temple stood at the centre of Jewish religious observance, the offering of the omer of barley on the second day of Passover was one of the most beloved of sacred rites. Not until that first sheaf of grain was harvested and offered as a sacrifice, was it permitted to partake of the new grain crop. The Mishnah stipulates that it is preferable to bring the omer of barley from the vicinity of Jerusalem, so as to indicate our eagerness to perform the precept as quickly as possible. However, if the grain there has not yet ripened sufficiently, it can be brought from elsewhere. As an illustration of such a case, the Mishnah mention an occasion when the omerwas brought from "Gagot Serifin." Scholars have identified this name with the town of Sarafand near Lydda. Though the context of the Mishnah seems to suggest that the need to fetch barley from outside Jerusalem was the result of natural delays in crop growth, rabbinic tradition speaks of a more ominous background to the episode. According to the Talmud, the dearth of suitable grain in the Jerusalem area was the result of a civil war that was being waged by two rival claimants to the Hasmonean throne, Hyrcanus and Aristobulus. This incident, which took place in 66 B.C.E., is also described by Josephus Flavius. As Hyrcanus's forces were laying siege to the holy city, Aristobulus's followers were confined within the walls. It was under these conditions that the need arose to search for barley from other regions. The talmudic account goes on to describe the peculiar manner in which the barley was procured. Initially, the community was at a loss to locate an alternate source, so they issued a call to anyone who could point them to a place from which to harvest the precious sheaves. In the end, the only person who responded to the call was a deaf-mute who bewildered everybody with incomprehensible charades. He positioned one hand on a roof and the other on a shed. Eventually, the signal was deciphered by one of the Temple officials, a certain Petahiah who was renowned for his astounding linguistic abilities. Petahiah concluded that "roofs" in Hebrew are gagot and sheds are serifin. Once it was established that there was a locality named Gagot Serifin, the necessary barley was taken from there to perform the omerritual. Several traditional commentators had difficulties accounting for some of the details in this story. For one thing, it stretches our credulity to suggest that the effects of the siege were so extreme that not even a modest measure of barley could be procured in the Jerusalem area. It is equally puzzling why nobody but the deaf-mute knew the whereabouts of the barley, and why the message could not be conveyed in a more direct manner. Basing himself on anomalies of this sort, Rabbi Solomon Edels (the Maharasha) arrived at the conclusion that the lack of barley was not an indirect or collateral result of the siege, but must have been part of a deliberate policy to suppress the performance of the precept. This premise makes is easier to understand why the entire barley supply was systematically destroyed. It also helps explain why the whereabouts of the barley at Gagot Serifin were kept secret and divulged only to a deaf-mute, so that they would have to be decoded like a carefully guarded password. In this way, the information was less likely to fall into the hands of hostile parties. Rabbi Jacob Ibn Habib saw in the choice of the deaf-mute a symbolic disparagement of a contentious generation who metaphorically closed their ears to words of Torah. In fact, Josephus provides some interesting historical details that help elucidate why there was no barley available for the omer ritual. Josephus, in agreement with talmudic traditions, describes an accord that called for the priests inside Jerusalem to lower a sum of money over the city walls in a basket, in return for which the besieging forces would send up sheep for the daily sacrifices. On one occasion, Hyrcanus violated the agreement by sending up pigs instead of sheep. So indignant were the priests at this blasphemous provocation that they beseeched God to exact vengeance on the perpetrators. In what was interpreted by contemporaries as an act of supernatural retrubution, there arose a fierce windstorm that utterly destroyed all the produce of the land. Josephus's story offers us an appropriate explanation for the disappearance of barley at that point in time. This moral issues of the story were expressed forcefully by the pious miracle-worker Onias, in an incident related by Josephus. This Onias was the same figure who appears in talmudic legend as "Honi Hamme'aggel," famous for his unfailing ability to produce rain through his prayers. According to Josephus, Hyrcanus tried to recruit Honi to curse Aristobulus and his faction, but the saint refused adamantly to misuse his spiritual gift to exacerbate a conflict between fellow Jews. Eventually, in spite of his repeated refusals and excuses, Honi was found and compelled to speak. At this point, he stood up and entreated the Almighty not to hearken to the prayers of either side. The outcome of Honi's noble stand that he was stoned to death by the incensed rabble. The combined testimony of the Talmud and Josephus Flavius can serve as a valuable lesson in the proper and improper uses of Jewish religious practice: Rituals like the omer offering were intended to promote unity and concord, not to be exploited in the interests of discord and factionalism.